Neil is an Independent Hearing Aid Audiologist specialising in fitting the latest in hearing technology from the world’s leading manufacturers. Neil’s career began in 2001 working with his Father Derek Charlwood in the family business Ebor Hearing Healthcare which had branches in York and Scarborough. He qualified as a fully registered hearing aid dispenser in 2003. When Derek retired Ebor became part of a national company. Neil established his own business Charlwood Hearing Care in 2014 and runs a clinic Nuffield Health York Hospital every Friday. With over 14 years of experience in the hearing aid industry, Neil continues to offer his clients a hearing solution to suit their individual hearing loss, lifestyle and budget. As a hearing care specialist recommended by ENT Consultants, he puts the priorities of his clients first and will always ensure they are getting the best out of their hearing instruments. All aftercare service is free of charge for the life of the hearing aids. Being completely independent allows Neil to offer friendly, honest and impartial advice. Audiology, digital hearing aids, wireless hearing aid accessories, tinnitus maskers, Cros and Bicros hearing aids, spectacle hearing aids and custom ear protection. 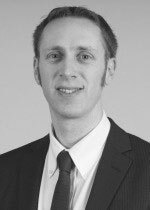 Mr Charlwood enjoys travelling and has a keen interest in a number of sports including playing 5 and 6 a side football, skiing and tennis. He plays golf (not very well!) and enjoys spending time with his family.